Today I took on the daunting task of tagging my photo library. ? ?This is a task I have started many times but never have finished. ? ?Not only do I have a ton of photos to go through but I always get distracted by a photo I like. ? ?For example this one. ? ?I took this photo way back in 2004 and then had it in a show and sold it in 2007. ? ?Since then it has been sitting in my library and I have not done much with it. ?? What I like about it is that looks almost like a model, without doing any tilt shift work on it or anything. ? 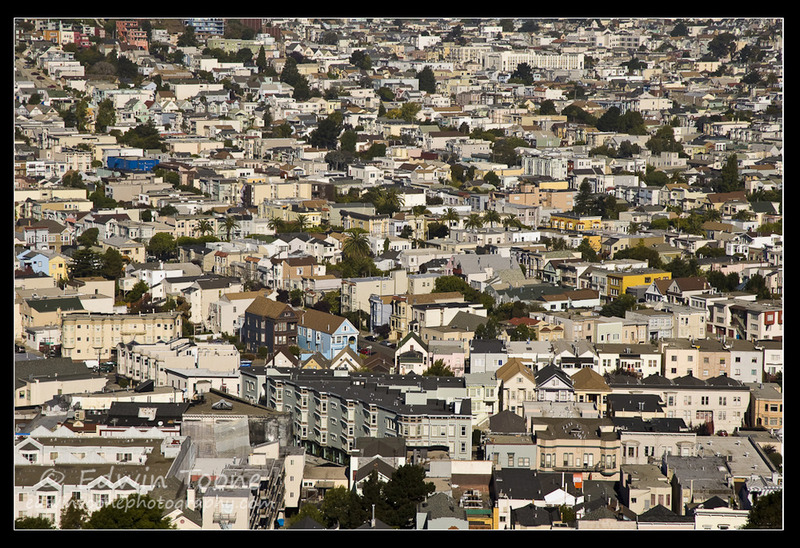 ?Just by climbing Bernal Heights Park in San Francisco and pointing a long lens back at the Mission I got this? ?play-land model like photo. ??I? ?m not sure you could do this anywhere else other than San Francisco and maybe that is one of the things that makes it such a great place. ??? ?